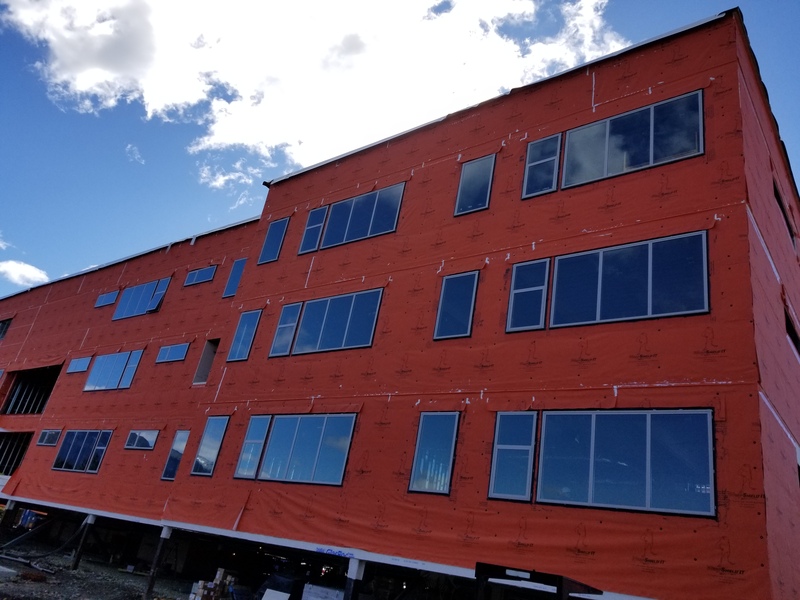 Over the past month, p rogress on Mount Si High School construction spans a wide range of activities, as each building is at a different stage of development. What's new since the last update? Installation of external windows has begun at Area A (see photo below). 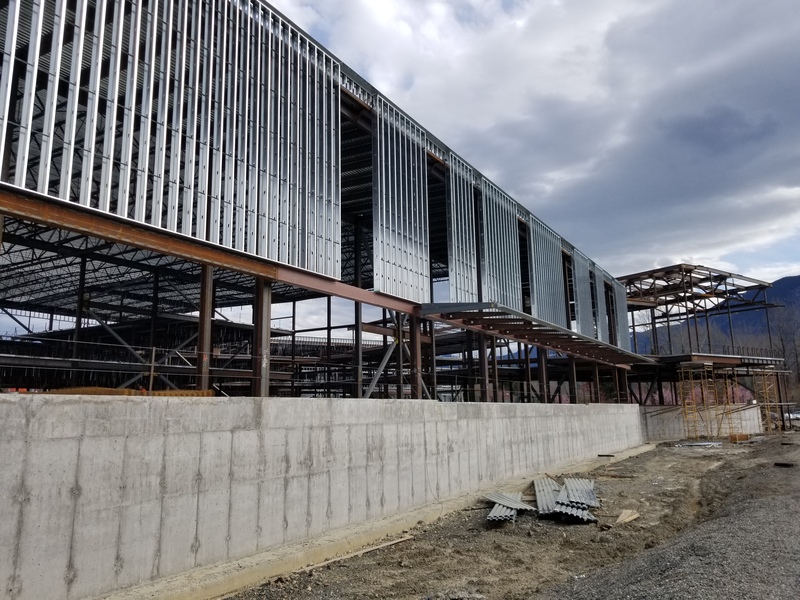 In the meantime, work continues with roofing, underground utilities, steel reinforcement, HVAC, steel stud parapet walls, pouring concrete slabs, mechanical, electrical, plumbing, fire sprinklers, spray-on fireproofing, exterior weatherboard installation, moisture/air weather barriers, and more. Click here to watch the latest video. Enjoy a "fly-by" view of the work underway. This view shows Area F (gymnasium) looking toward Mt. 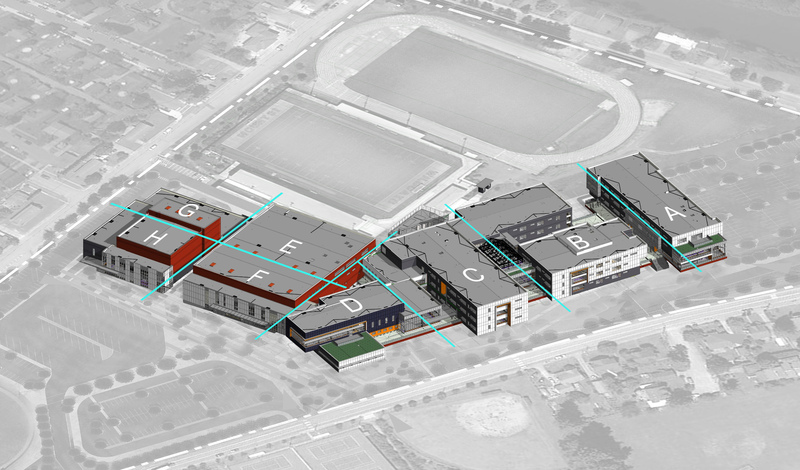 Si and Area D, which will be the school's main entrance. 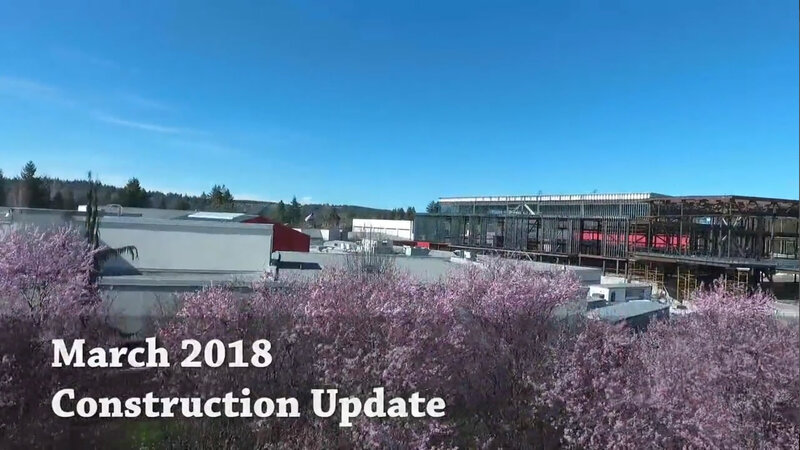 Read the March 16, 2018 Status Report from the Project Manager, for more details regarding the expansion project and more photos. Since fall, a committee has been meeting to research and explore school start times options. The consideration of adjusting start times stems from interest in secondary schools beginning later, based on community feedback received through Thoughtexchange engagement activities, as well as research that points to numerous benefits for teens. T he District's high school and middle school schedules currently begin at 7:40 a.m. In November/December, the committee launched a survey with four potential options. That survey resulted in varied feedback across all options with no single option receiving more than 50% support. Since then the group has determined a couple of the options are not feasible, due to a combination of transportation considerations, associated costs, and increased staffing that would be needed. Currently, the committee is considering two options, and would like community feedback again. On Friday, March 23, the District will be launching a second School Start Times survey to gather input on two possible start time schedules. Please watch for this in District E-News and the website, and be sure to share your preference. Potential changes could involve all grade levels (elementary and secondary), so feedback from all perspectives is valued and appreciated. The recommendation and timing of possible changes is still to be determined. Updates on the work of the School Start Times Advisory Committee are posted online .